It stands for “point of sale” and it is one of the fundamental tools in the creation of an administration system for any business. The POS covers the designated area for registering the sale as well as the income and outcome of goods or services. This allows having a better control of the flow of resources inside your store. Odoo, formerly known as OpenERP, is a system of free software and the latest open code, with the longest course as an enterprise resource planning (ERP) software. A system characterized by its rapid growth and continuous development used and supported by big industries like DANONE, TOYOTA, HYUNDAI and many other big companies around the globe. 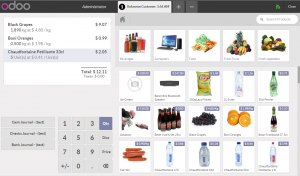 Odoo POS, is the module specialized on the Point of Sale (POS), which can manage, through a modern interface, daily sales, warehouse stock, inventories, prices, ticket printing and generate sales reports in a simple and professional way. 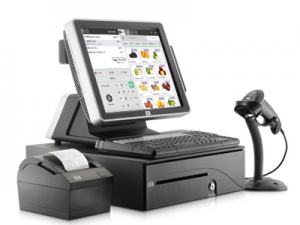 Either locally on your store or online through a hosting system, Odoo POS allows you to implement a modern and scalable solution that you can manage from a point of sale, using it on a small store or up to a store chain. Choose the setup that best fulfills your needs and regain control of your business through a simple, professional and interactive portal.